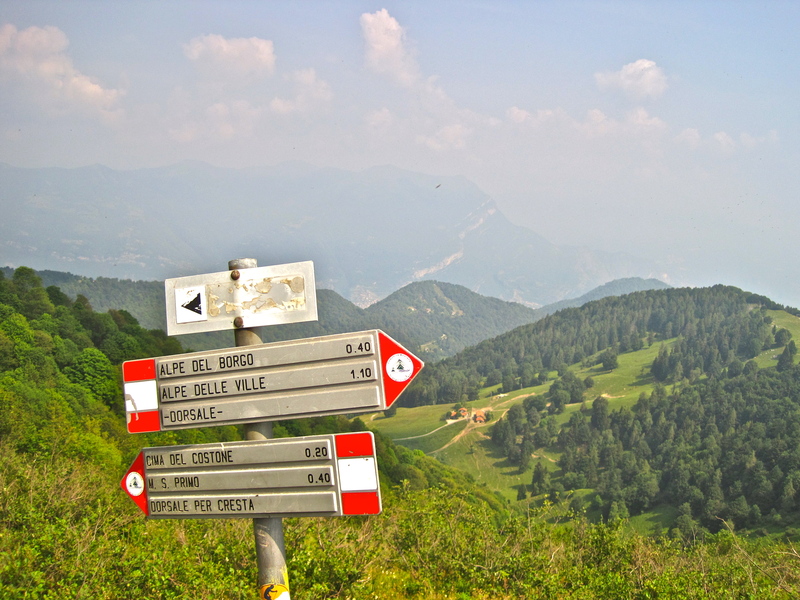 It’s amazing what I find in the “drafts” section of my blog – I think I owe you this second day of my walk in the Italian Alps from about a year ago! Here’s the link to Day 1 if you want to do something daft and read it chronologically! So, I think to myself, Day 2 of the Dorsale walk has to be about going down, since so much of yesterday was about going up. Right? 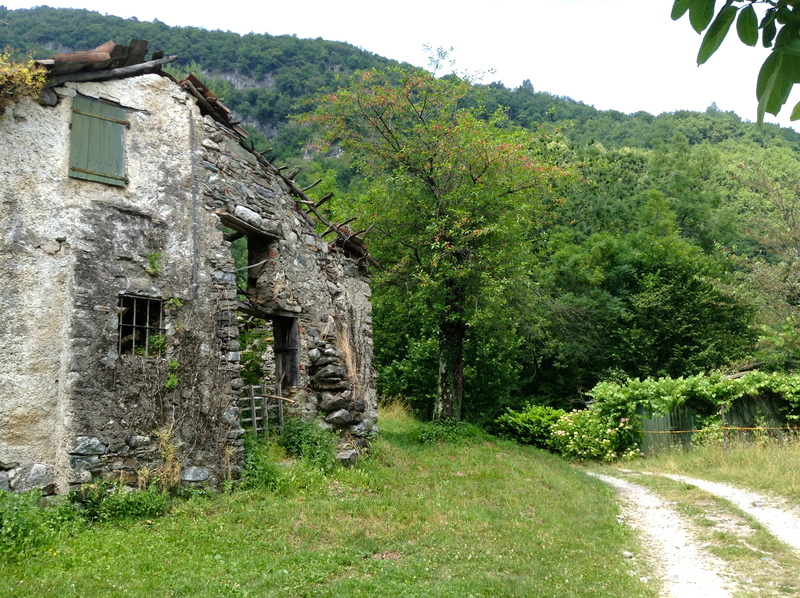 Perhaps I had forgotten that I had descended to 1100m to stay at the wonderful Alpetto di Torno last night. So a descent would be wishful thinking. First off, I had to head up through all those dairy cows, which were clanking away through the meadows with their bells (who would have thought they would be so noisy?!) and follow some old goat tracks up the valley sides to regain the main Dorsale track. Despite a few wrong turns, I got there eventually, and reached the high point of the walk, at 1560m, right beside the top of some old ski lifts and a wintering barn, at Alpe di Terra Biotta. From here, there’s a one hour easy detour you can do to summit on Mont St Primo for 360 degree views across the entire Dorsale (triangle wedge) region, as well as a good look at the descent ahead. After sucking up the view, finally, finally, you are rewarded by the down: flex those knees everyone! It’s a gorgeous, and in places, steep descent, past astonishing wildflowers, more of those clanking dairy cows, and even clinking (think cow bells, but higher pitched!) goat herds. You even have to dodge a competitive mountain bike trail at one stage. As you drop from the mountains, and down into pasturelands, you start to wander past ruined stone farmhouses and cottage gardens, and to be honest, I just couldn’t resist the Solo Walkers Indulgence: lying on my back in the grass of a wildflower meadow, in the sun, reading my book for an hour. Talk about a guilty pleasure! And OK, so it does mean I strolled down the old Mules Path and into gorgeous Bellagio rather late in the day, and a gelato never tasted so good, but the final insult was the flights of stone stairs UP through the village to reach my apartment. That was just someone’s joke, I am sure. I couldn’t recommend this walk more as a way to get from A to B – while the lakeside villages were just teeming with people, as you might expect in June/July, I passed probably 8 or so people and about 5 mountain bikers for the full 2 days. 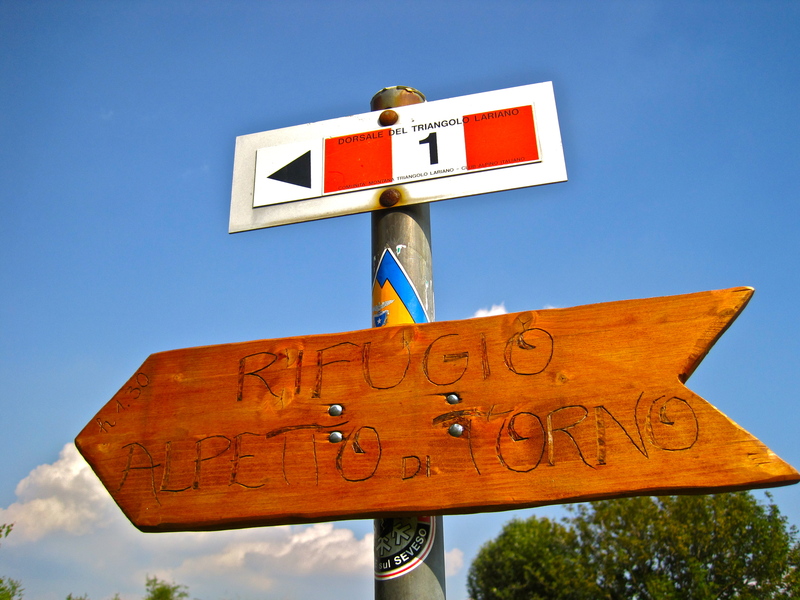 It’s a great, and relaxed walk for families and small groups too – just make sure you book ahead for the Refugio, as they only open to bookings. 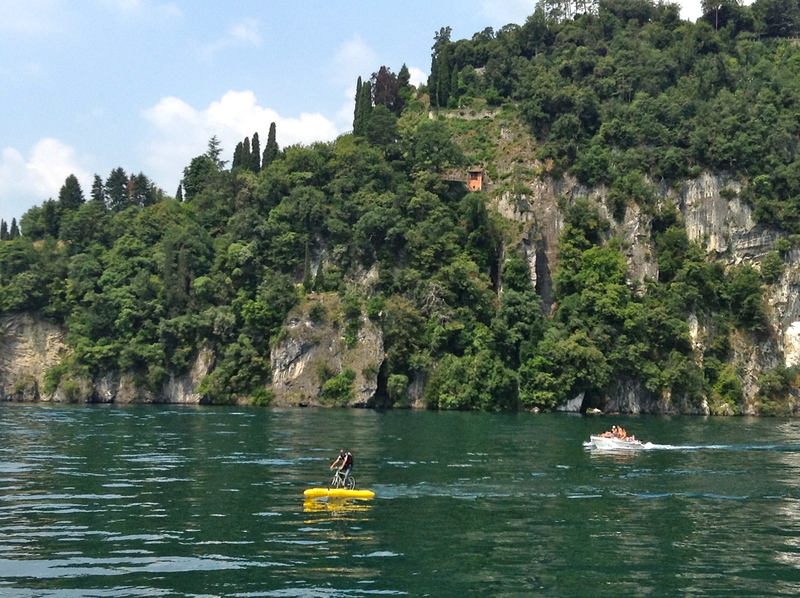 I spent another 5 days lake-hopping around the various tiny lake towns, and spent another 2 days walking along the ancient and overgrown Roman Road which hangs on the rockface above the west side of Lake Como, winding in and out of villages, and saw no-one other than an equally ancient old photographer. I just love how even in the most popular tourist destinations, a pair of walking boots can find you peace in just a few long strides. Alternatively, if you get sick of all those hills, you can just grab one of these and cut direct across the lake on your bike! Clearly this guy doesn’t like taking the indirect route around the Lake via the roads! Go for it, Jane! It’s a fabulous solo walk. I loved it – hope you will too! I love walking the Greenway del Lago on the Western shore but I’ve never experienced the Dorsale. It looks fantastic, because it’s a pleasure to walk away from the narrow roads and crazy Italian drivers. 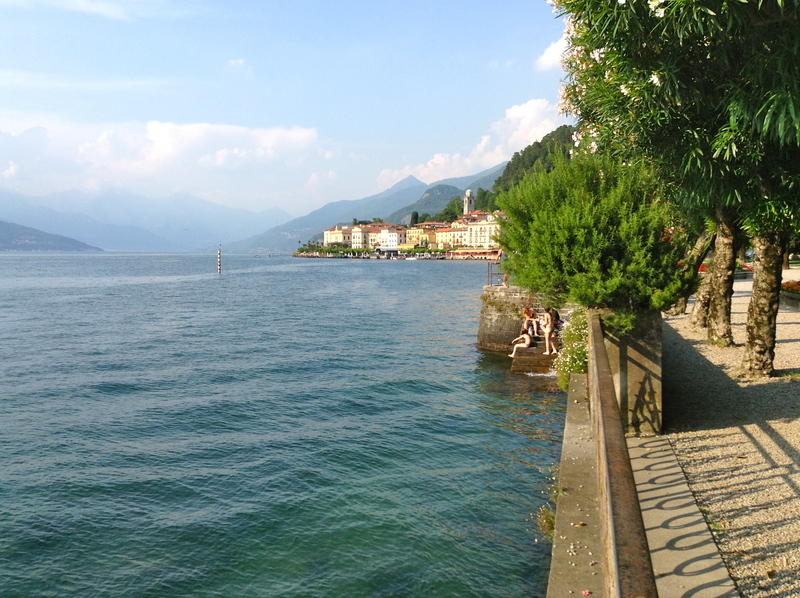 I can’t wait to get back to Lake Como. Hopefully I’ll manage a week in April before the season starts.